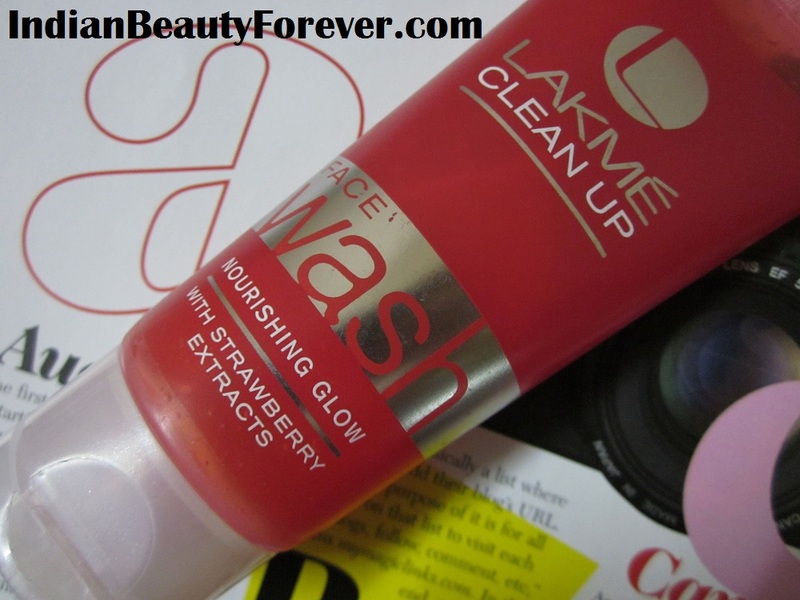 Today, I will review Lakme clean up face wash from their Nourishing Glow range which has the strawberry extracts too. Recently, they came up with Clean pores range too and I am really excited to try that out too especially their scrubs. Nourishing Glow has two more products as well like their scrub and their face mask. Price: 145 for 100g. It is also available in a trail travel pack of 25g for 40 INR. My Experience: I received this products, more than two weeks ago and have been using this since then. It comes in a regular flip top packaging and the actual product has a red color which it says due to it’s strawberry extracts. First of all it smells really good and just like strawberries and I really liked that red tube. While using this, I realize that it has some tiny particles scattered here n there though very low in density but may provide some exfoliation. It properly cleans my skin and removes all the dirt and any traces of oil and makeup. I have oily/ combination skin and after using this I don’t feel like it’s making it stretchy or slimy after wards. Stretchy as in, when you use some face wash and it removes even the essential oil thereby making it stretchy or there are some face washes that leaves this slimy feeling as if skin hasn’t been cleaned properly. But thankfully, it doesn't do that. It lathers well so a pea sized is enough for the complete wash! With this my skin looks matte, clean and refreshed. I like it for that and also it’s smell which reminds me of rubbing strawberries on my face. :D No, I am not saying as I got it as a PR product but it smells really good but while you are working it on your face, there is some very faint smell which isn't so nice but It's sometimes not always. Although wont bother much! Has the goodness of strawberries and smells really good. Good to all skin types but not sure about the very oily skinned people. Apart from the strawberry like smell there was some other very faint smell too which comes when you are working it up all over your face. 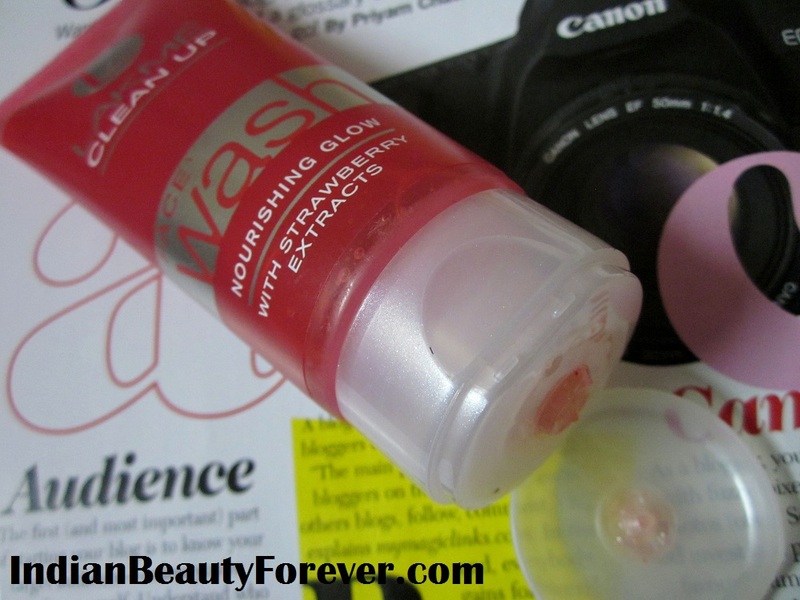 My take: Looking for a new face wash then do try it, it really makes skin refreshed and clean. The fruity smells of this face wash instantly gives a fresh feeling! 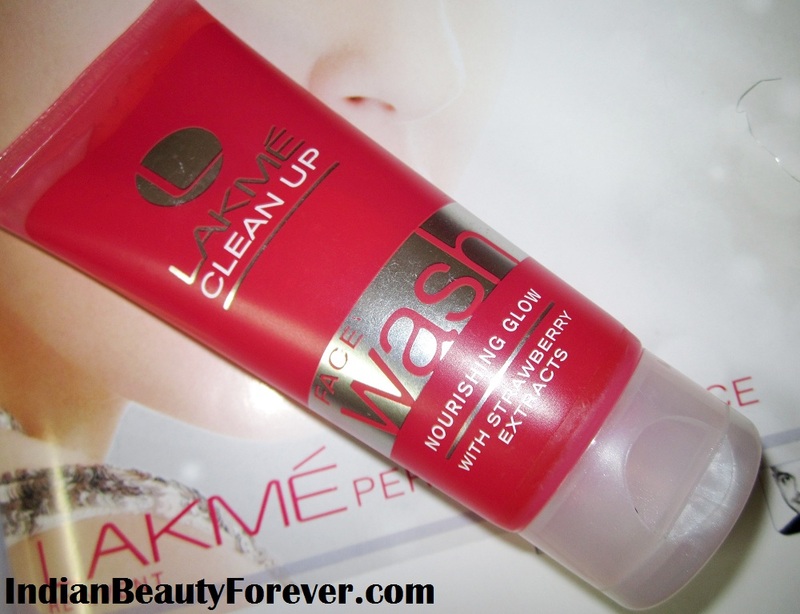 If you loved Lakme fruit blast face washes then you are going to love this too. 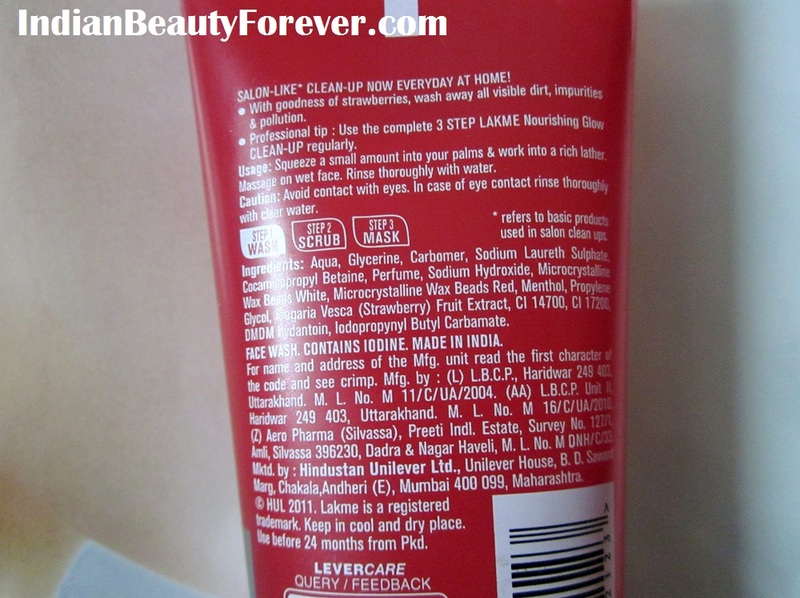 It seems something similar to lakme strawberry fruit blast face wash. is it so? Thanks dear! Even I think it is similar to the fruit blast ones. Thanks Tej!! Same here, I like fruity smell too especially citrusy and strawberries likes. Lakme Never Suited Me.. But I'm So Tempted To Try The Clear Pore Range.. Are You Using it? I am also eager to try the clear pore range especially their masks. Nice review..want to try the scrub.. Thanks! I want to try their face masks. Great review Niesh :) .. I too have a combi-oily skin .. Gonna give it a try for sure !! It isn't bad for oily to combination skin. You may like it too. I am gonna try it as i loved theur face washes a lot. You will like it too Hopefully Meghu! Nice Review Niesha... I have got the pink one. lets see how it fare!!! Thanks Anu! I think the fairness range. I haven't tried it but their scrub looks good! Hope it does well. I completely agree with your review Niesha :) Have used their Strawberry Fruit Blast face wash many years ago and loved it but that did not have scrub particles if I remember correctly. It made my skin clean and supple and am sure this new one may be as good.